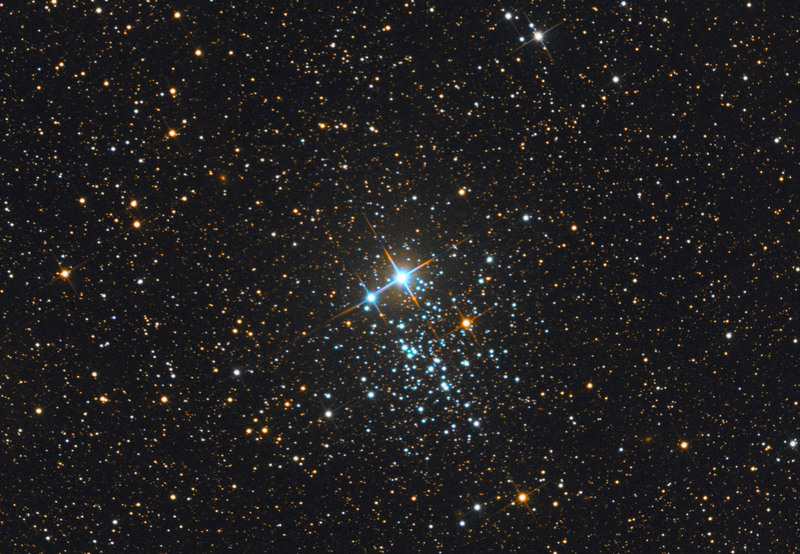 NGC 457 (or Caldwell 13) is an open star cluster in the constellation Cassiopeia. It was discovered by William Herschel in 1787, and lies over 7,900 light years away from the Sun. Its age is estimated to be 21 million years. 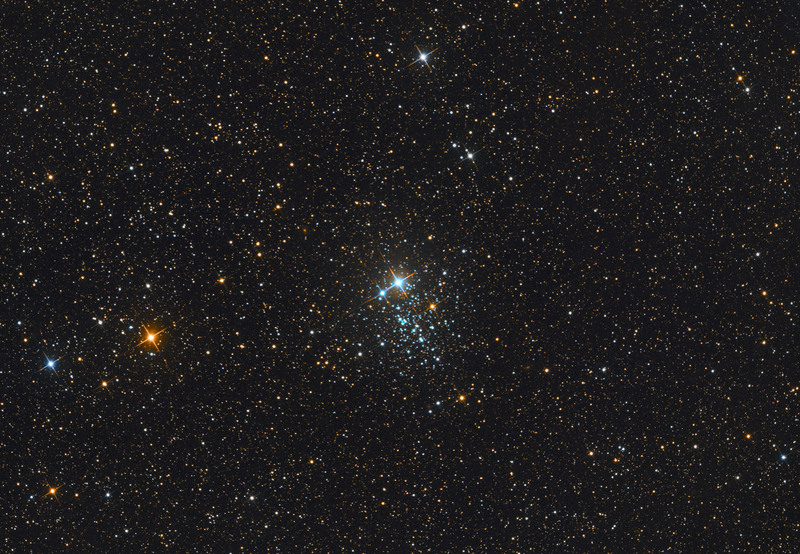 The cluster is sometimes referred as the Owl Cluster. The cluster features a rich field of about 150 stars of magnitudes 12-15.